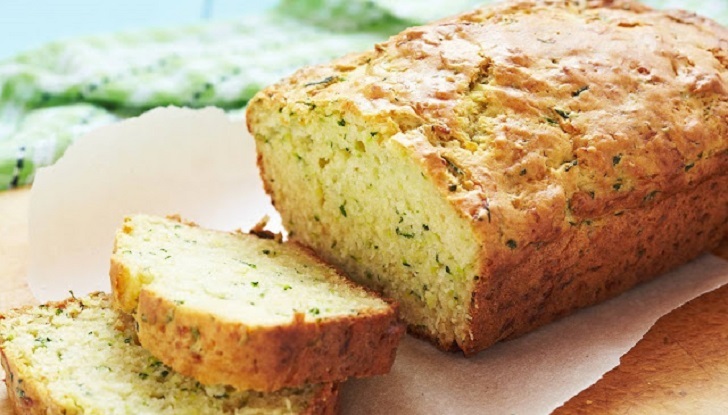 For a healthier option choose Zucchini Bread! My kids eat it as quickly as I can make it. Bread will freeze well, and keep in refrigerator for weeks. Classic zucchini bread recipe that is easily our family’s favorite. Easy to make and you’ll love the added cinnamon and vanilla. It’s the perfect zucchini bread recipe! ⏩Preheat the oven to 190°C. ⏩Butter a loaf pan and coat it with sugar. ⏩In a large bowl, whisk the flour, cinnamon, salt, baking soda and baking powder. ⏩In a medium bowl, whisk the oil with the eggs, sugar, and vanilla. Add the shredded zucchini. ⏩Stir the zucchini batter into the dry ingredients. ⏩Pour the zucchini bread batter into the prepared loaf pan and bake for about 50-60 minutes. ⏩Let the zucchini bread cool in the pan for 5 minutes, then turn it out onto a wire rack to cool completely.